It was incredible to see how much live tweeting went on at the opening session of the conference, which was on digital publishing. As each speaker presented, the main research points of their argument were shared via social media. 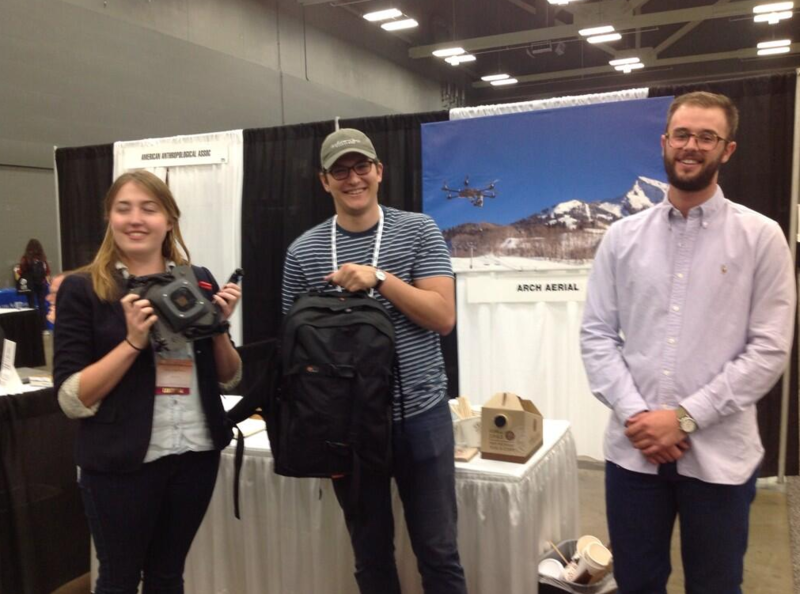 Some of the main readers of the feed (#SAA2014) were either at the conference, or weren’t able to attend. People are using social media and digital technology more and more to publish up-to-date information easily. As one professor put it “There’s no way to avoid digital,” and it’s safe to say that live-tweeting major academic conferences is just one portent of things to come. We also had the opportunity to look at a 3D model of an excavation site on an Oculus Rift in person at the conference. To experience a 3D model of a site in a virtual environment has been a personal dream of mine for a long time. Honestly, we thought virtual reality technology was at least a couple years away from being commonplace enough to find at an archaeological convention. Nevertheless, one of the exhibitors at the conference had one on their desk. Imagine if you could walk into any museum in the world and experience an archaeological site as it was thousands of years ago! It isn’t far from becoming a reality. Of course we can’t leave out the drones! 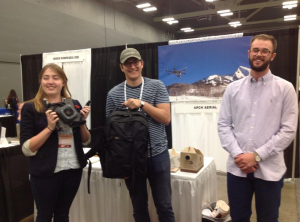 We had a great response to our Atlas 1 Pro Collapsible Quad-copter Drone Kit at the conference. Archaeologists were particularly impressed with its collapsible design and rugged build. They were also excited that you could build a 3D model so quickly and easily using photos taken from the drone and photogrammetry software. We’ll be seeing more and more drones at excavation sites in the next few years, so keep your eyes on the sky, and we’ll see you at next year’s SAA’s! A quick shout-out to Shelley Adams, who did a great job coordinating this year’s exhibitors, and our booth neighbors from HD Analytics Solutions, ArcTron, Sensys, Forestry Suppliers, and the St. Eustatius Center for Archaeological Research. Also, a huge thanks to Dr. Clark Wernecke for having us out to an open house at the Gault Archaeological Site on Sunday.